Staffordshire County Council's move to sell council-owned farmland will be a 'substantial blow' to new entrants, a farm tenant group has warned. The council has announced plan to sell 16 of their 83 council farms. Up to £20m could be generated over the next few years. 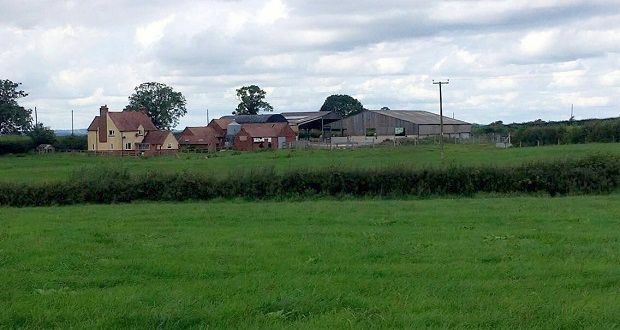 However, the Tenant Farmers Association (TFA) said it is 'saddened' to hear of another county council plan to sell off part of their farm holdings. The group said it is a 'substantial blow' to the provision of opportunities for new entrants and those wanting to progress, as well as the council’s farms’ contribution to wider local authority functions. TFA Treasurer, Robert Martin, said: “It is very sad to hear of another county council selling off tenant farms from its rural portfolio to pay for council services. Mr Martin said local authorities must take a more 'proactive approach' to their management policies in order to provide opportunities for new entrants. “The importance of domestic food production, especially in the context of post Brexit planning, is brought home more clearly, especially if this land is taken out of agricultural production, “ said Mr Martin. The TFA understands that three of the farms to be sold off are starter farms, which it says 'closes another avenue' to young farmers wanting to make a start in the farming industry. And if larger tenanted units are also sold off, then the ability for tenants to move their business forwards by moving onto another farm as their business grows is 'stifled', the group said.